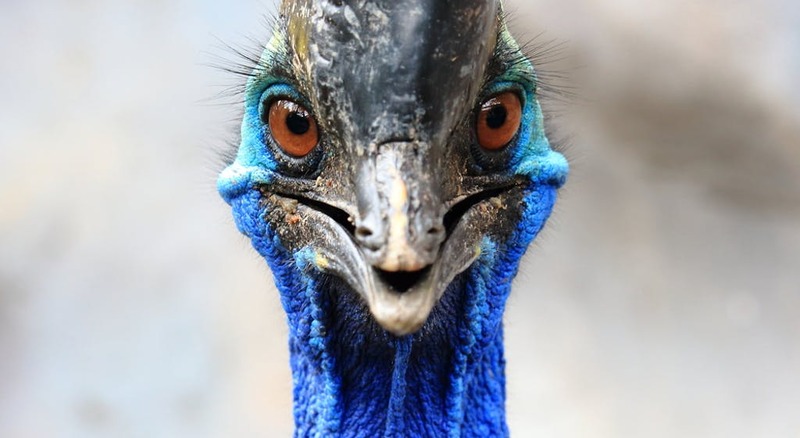 A special permission is needed to own cassowaries in the U.S., which mandates that owners must have "substantial experience" in handling the birds and keep them caged. The victim, whose name was not released, was apparently breeding the birds, state wildlife officials said. Deputy chief Jeff Taylor said: "It looks like it was accidental". Marvin Hajos, 75, died in hospital after he was attacked on his property in Alachua, about 120 miles northwest of Orlando, in what police described as a awful accident. Lieutenant Brett Rhodenizer with the Alachua County Sheriffs Office says at this time, it seems the attack was quote 'a tragic accident.' An investigation is underway, and the bird remains secured on private property. They are similar to emus, standing up to 1.8 metres tall and growing to up to 60 kilograms with black body feathers and bright blue heads and necks. Cassowaries are eaten in parts of Papua New Guinea but in the U.S. but are sought after by collectors of exotic birds. The Florida Fish and Wildlife Conservation Commission considers cassowaries Class II wildlife, meaning they pose a danger to humans and are subject to specific cage requirements. It can run up to 31 miles per hour through dense underbrush, jump nearly 7 feet into the air and is a skilled swimmer, so it can deftly fend off threats, the zoo says. It says: "The cassowary can slice open any predator or potential threat with a single swift kick".